Marriage is the grand design of a loving God. With little exception, all marriages begin with great anticipation and hope. The person we stand face to face with on our wedding day can seem to do no wrong and there is no way we could live without them. God would love for us to keep that perspective till death parts us. The challenge we face is that our love is selfish. We are all guilty of trying to find a way of getting more than we give. It doesn’t take long to learn that infatuation is not enough to get us through. The grandeur of the honeymoon phase is shorter than we ever imagined. The Scriptures reveal the answers to all the struggles that pull at the intimacy of our marriages. The understanding of these truths is often best caught in the discipleship relationship. 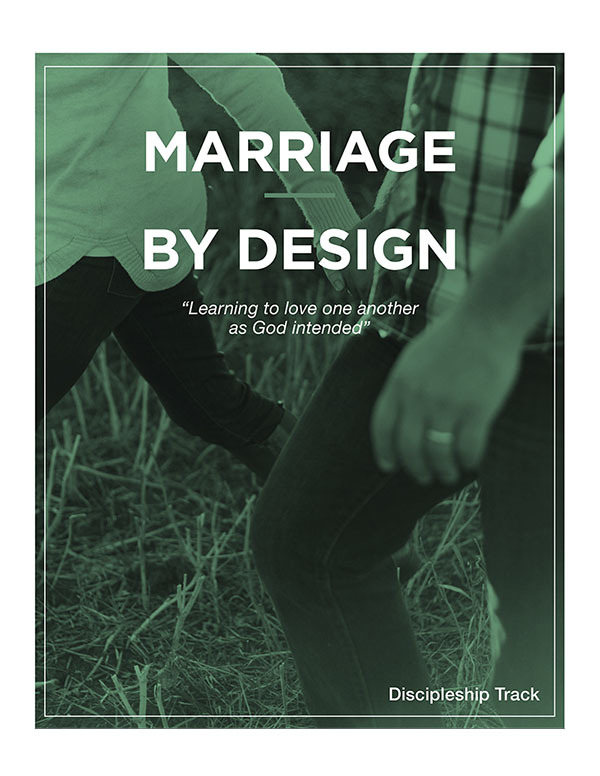 It was with this in mind that we developed the Marriage By Design discipleship track. Following God Together: Explores ideas of how to grow closer to God as individuals and couples. Mutual Love and Respect: Explores the power of honoring one another with selfless love. Our Love Languages: A practical guide to the 5 common love languages and how they enhance our relationships. Managing Our Money: A biblical look into the unifying effect of good stewardship. The Power of Communication: A practical guide to better communication and listening. Learning to Fight Well: Explores how to handle conflict in a positive way.